House company member Tommy Rapley once again directs this innovative take on the classic Christmas tale. This year, Rapley leads two entire casts in rehearsals for con Current Productions in Chicago and at the Arsht Center in Miami. The Chicago production previews November 9 – 17 and opens on Sunday November 18th at 7pm at the Chopin Theatre (1543 W. Division St.). THE NUTRACKER will run through December 30. The House’s fantastical expansion of this holiday classic centers on young Clara’s journey to rescue Christmas. With the help of a magical Nutcracker, this brave little girl will fight the Rat King and save her family! This modern holiday production weaves together riveting dialogue, astonishing puppetry, original song and spellbinding spectacle to tell a heartwarming, darkly moving story of magic and hope — a fun outing fit for the whole family. 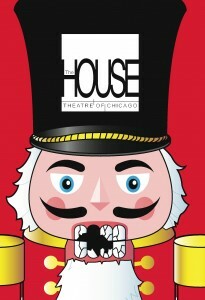 The House’s original play version of THE NUTCRACKER first premiered at the Steppenwolf Theatre in 2007 under the Visiting Company Initiative, and enjoyed highly acclaimed new productions at The House in 2010 and 2011.